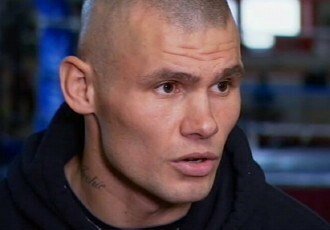 By Padraig Ivory: Sergio Martinez and Martin Murray came face to face this week ahead of their April 2013 fight. The St Helens fighter made the long trip to the homeland of the middleweight champion to commence the promotional campaign and to introduce himself to the Argentinean fight fans. Martin made television appearances and press calls as the wheels of the promotional bandwagon were set in motion. “He’s young and strong. It’s great that he should want to give his all…” Martinez said of Murray. However the 37 year old promised to be at his best for his homecoming celebration stating that the fight “won’t go past the eighth round”. Martin’s assessment of the fight differed from that of the current WBC champion. “He began at the bottom and today he’s the most powerful in the division. But I’m better and can beat him”. Murray’s confidence stems from his unbeaten 26 fight professional campaign and in particular the performance he put in against former champion WBA Felix Sturm. The disappointment of the controversial draw with Sturm was followed by further frustration when an issue with obtaining an American visa scuppered plans to fight Julio Chavez Jr.
Martin however has been rewarded for his professionalism and patience after securing his position in the blue corner against pound for pound ranked Martinez next April 27. The fight will take place in front of an expected sell out crowd of 55,000 Argentinean fans in the Club Atletico Velez Sarsfield. The fight enjoys a lengthy promotion as Martinez recovers from knee surgery. The orthodox Murray will have abundant time to prepare for the biggest fight of his career after emerging unscathed from his last outing against Jorge Navarro. The weight of experience lies with the WBC kingpin who has amassed more KO victories than Murray has had contests. Martinez also gets the nod in terms of level of opposition encountered after bouts with Pavlik, Williams, Chavez Jr. Macklin and Cintron amongst others. Murray will have youth on his side and will offer a sterner test than most American based fight critics are suggesting. Will Sergio add the scalp of Murray to his collection having recently defeated both Matthew Macklin and Darren Barker? It is hard to look past a Martinez victory but the challenge of Murray should not be prematurely overlooked.